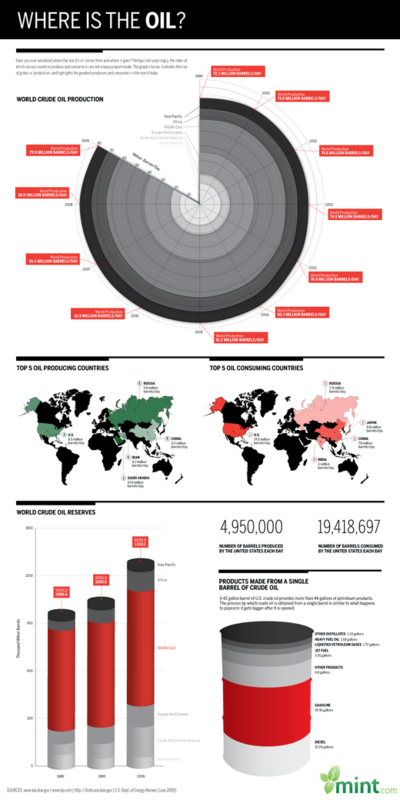 Have you ever wondered where the world’s oil comes from — and where it ends up? The list of the world’s top five producing and top five consuming countries may look similar, but compare the rates of production and consumption, and you will see they are hardly proportionate. The United States produces 8.5 million barrels of oil each day and is the world’s third largest oil producer, but we consume more than twice as many — and are the world’s top consuming country.